Buffalo grass is low maintenance and tough as a turf grass. The plant is a perennial native to the Great Plains from Montana to New Mexico. The grass spreads by stolons and was first used as a turf grass in the 1930s. The plant has a history of being expensive and hard to establish but planting buffalo grass from the newer cultivars have minimized these traits. With a few buffalo grass planting tips, you will be on your way to an adaptive and flexible lawn. Buffalo grass is native to North America. What is buffalo grass? It is the only native grass that is also useful as a lawn grass. 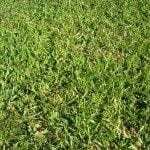 Buffalo grass lawns are warm season turf which are drought tolerant with better cold resistance than other warm season grasses. 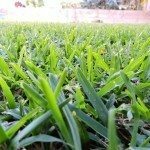 The grass is quite tolerant of a range of conditions and establishes with seed, sod or plugs. As an extra bonus, care of buffalo grass is minimal and mowing is infrequent. As a wild plant, buffalo grass is an important range and pasture plant used by native and domestic grazers. It is a warm season grass that goes brown and dormant in fall when cold temperatures arrive and only awakens in spring as the air and soil warm up. Its busiest growing period is between May and September. The plant forms a fine turf with bluish green color 8 to 10 inches high. The blades are slightly curly and the flowers are both pistillate and staminate. Plants root at internodes on the stolens. Buffalo grass lawns are very adapted to low moisture areas. Newer cultivars are resistant to weeds and require even less watering than the traditional buffalo grass. The ideal time to sow buffalo grass is in April or May. You may start it from seed or sod. Sod is generally made up of female plants to keep the spiky male seed heads from making an appearance. Seeded lawns will have both male and female plants. 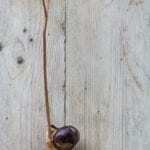 Broadcast seed at the rate of 4 to 6 pounds per 1,000 square feet. With good moisture, this rate will achieve good cover in just a few months. Plugs are planted on 6 to 24 inch centers, 2 ½ inches deep. Sod must be moist before it is rolled out. A crucial buffalo grass planting tip is to keep any area, whether it is seeded, plugged or sodded, evenly moist as the grass establishes, but avoid sogginess. This is a low maintenance turf and over babying it will actually cause it to lose vigor. Fertilize in spring with 1 pound of nitrogen per 1,000 square feet. Feed the turf again in June or July with the same rate. Water needs are minimal. The grass needs just a moderate amount of moisture per week. Mow once per week to a height of 2 to 3 inches for a healthy lawn. Because buffalo grass is not a thick turf, it tends to get weeds. Use a weed and feed at fertilizing time and hand weed when possible to remove competing pest plants. Read more articles about Buffalo Grass.